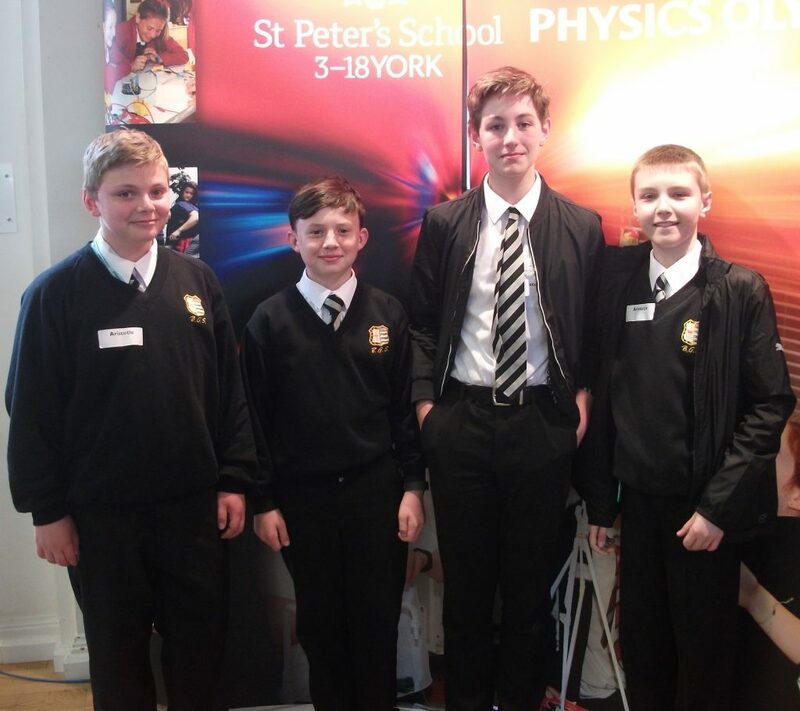 Beverley Grammar School boys attended the Physics Olympiad Competition in York on June 15th. 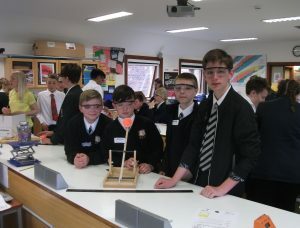 Held at St Peter’s School, the event comprised a series of physics activities with 35 schools taking part. 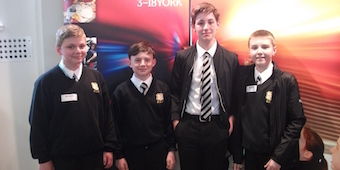 The Beverley Grammar School team was made up by four year 8 pupils: Matthew Baguley (13), James Sutton (13), Liam Wainwright (12), and Oliver Abbott (13). The boys spent the day solving complex physics problems and tackling scientific challenges in six activities. We are pleased to announce they achieved third place in one activity, winning a large jar of smarties, and averaged in the top third for the rest of the activities. Mr Mansoor was also relieved that his own team managed to win the staff competition, so that the boys did not outdo him!